(from left) Henry Chung, Notebook Sales & Marketing Director of MSI; Valerie Diana Ham, Etail Manager of Logitech; Melody Yap, E-commerce Executive of Etude House; Shirley Chong, Senior Brand Manager of Elle Bags Malaysia; Yang Berhormat Datuk Seri Saifuddin Nasution bin Ismail, Minister of Domestic Trade & Consumer Affairs; Zed Li, Head of Business, Shopee Malaysia; Benjamin Chua, Head of Digital, CRM & E-Commerce of Fonterra; Teh Teong Ei, Chief Executive Officer of Pinang Medical Supplies Sdn Bhd (Malaysian brand principal of Crocs), and Carol Wong, Senior General Manager of World of Sports during the launching of the seven brands at the Shopee Kongsi Fa Cai campaign luncheon. You can enjoy ‘kaw kaw’ the benefits of shopping at Shopee, and stand to receive daily cashback of 88% (capped at RM5.88) when they spend on the platform. Vouchers will be given out at 3pm each day. Shopee is all about making its users feel good and happy, and what better way than to present them with surprises like unraveling a box of delightful things? Users can look out for 88,888 mystery boxes by brands and sellers across the platform that are at least half than the retail price. It mysteriously gets better when free shipping is applied, no matter the amount. Shake the prosperity tree with vigour for a chance to win Shopee coins, prizes and vouchers worth a total of RM888,888. The harder it is shaken, the more “fortune” the tree is likely to shed into the Shopee account. Take a break from shopping and join Shopee’s inaugural CNY Live Quiz on the Shopee app. Users can get their adrenaline pumped up when they challenge their minds by answering trivia questions on a wide range of topics during the live quiz. Better yet, winners who answer all questions correctly will win from a pool of 888,888 Shopee coins, RM1,000 weekly cash prizes as well as other amazing prizes. The quiz will take place on weekdays at 12pm from 14 to 31 January, with two sessions at 12pm and 8pm from 22 to 24 January. The flash sale will be held across different days; but users can have a big stake out and catch the big ones on 15 and 22 January, with 8 different sales happening throughout the whole day from as low as RM0.88 and up to 88% discounts on products from fashion, electronics, lifestyle, beauty, home, men’s and more. Zed Li, Head of Business, Shopee Malaysia presenting Shopee’s performance and latest updates during the Shopee Kongsi Fa Cai campaign luncheon. “Shopee believes in creating revolutionary innovations to provide users a seamless shopping experience no matter where they are because everything is now at their fingertips. From a platform that bridges the gap between shoppers, brands and sellers, it is now an ecosystem that responds intuitively to consumers’ demands and drives user engagement. We help users stretch their Ringgit through Shocking Sales and daily cashbacks while inspiring them with ideas by bringing more brands and sellers on board,” said Zed Li, Business Head, Shopee Malaysia. As Shopee continues to drive innovation to deepen engagement with users, it seeks to offer interactive features to value-add to the users’ online shopping experience. “E-commerce is changing the way we live and new technologies are causing a paradigm shift in the industry. We believe that Malaysians are spending more time on Shopee than on any other e-commerce platform. In-app games like our Shopee Shake has made online shopping interactive and fun, which contributes to users spending more time on our app. 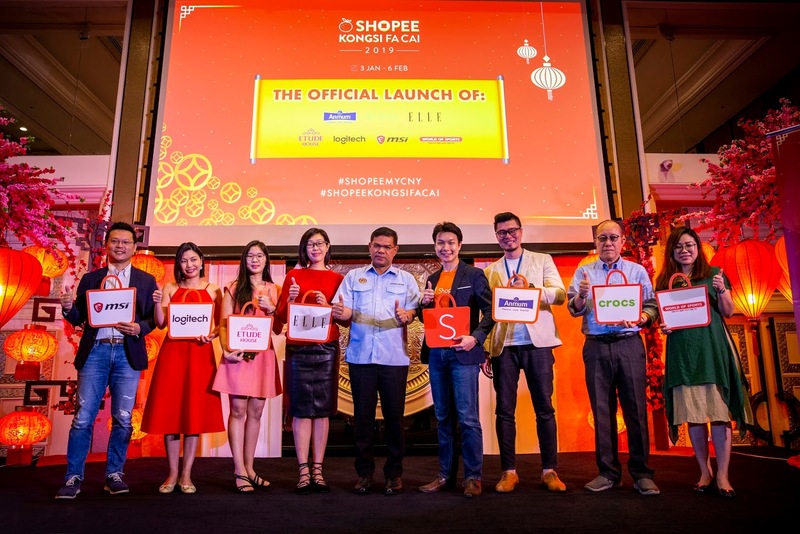 We foresee that our Shopee Live Quiz will continue to bring about change to the e-commerce landscape where Shopee will be an online shopping platform as well as an engaging experience,” said Li.